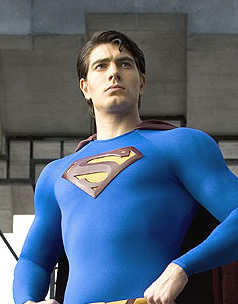 Routh, a virtual unknown, was just getting used to the idea that he was picked from among hundreds of actors to play the Man of Steel by the time he arrived on-set half-way across the world, after months of physical training, to begin the work of portraying the mythic, larger-than-life character. Tall, soft spoken and polite, Routh embodies what director Bryan Singer describes as “our collective memory of Superman." While Superman’s world has undergone such drastic change in the time that he has been gone, Superman himself has stayed the same. “When you sink someone whose soul is as clean as his body into a world that has changed so much, a world that is so contemporary, with darker, deadlier influences, it’s interesting to see what happens when those two things come together,” says screenwriter Dan Harris. Copyright 1998-2007 Moviehole.net. All Rights Reserved. All other trademarks and images are the property of their respective owners. The opinions expressed in this website aren't necessarily those of the editor. This site is in no way connected to an official film studio. With assistance from PPC Classroom and Travel Forums.